After years of negotiations, the Arts Coalition for the Dupont Underground (ACDU) has signed a lease for the subterranean space under Dupont Circle with the DC government. The group announced the signing of the 66-month lease on Tuesday, along with a crowdfunding campaign with a goal of raising $50,000 to jumpstart the project. The group plans to start by cleaning up the former trolley station’s east platform and opening up the space to the public to help build momentum for a redevelopment project. The group was somewhat vague about their short-term plans for the space — much of the talk for the Underground has focused on what it could become in the long-term. The ACDU says it will begin by “activating the space through art- and design-related events, public performances and other gatherings, as well as temporary commercial uses,” presumably on the renovated east platform. The ACDU won a request for proposals back in 2010 to develop the space. Since then, they’ve been trying to make their vision for a lively underground space — complete with a gallery, winery, restaurant and even a hotel — become a reality. 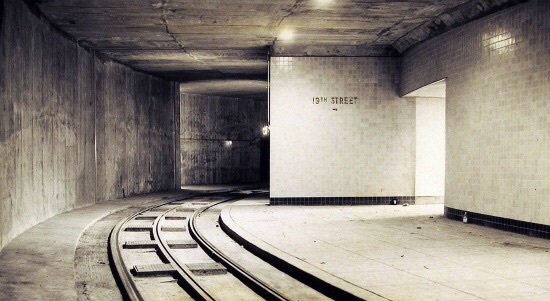 The 75,000 square foot underground space has been vacant since 1963. Patrick Pendelton Smith, who spoke to UrbanTurf earlier this year about his plans for a micro-hotel for the Underground, was hired by the project to be its director of real estate development. Smith told UrbanTurf earlier this year that he believes commercializing some of the space is the only way the project can be viable.